The Swan Personal Massage System is a try personal massager. Small osculating kneading pads are placed below a motor encased in a hand sized holder. This easy to control devise works on a strong rotating/osculating motion with vibration for that extra kick. The Swan Personal Massage System is a try personal massager. Small osculating kneading pads are placed below a motor encased in a hand sized holder. This easy to control devise works on a strong rotating/osculating motion with vibration for that extra kick. When placed on the desired area and turned on the pads movement works in a kneading fashion getting down deep into the tissue while the optional vibration gives a relaxing sensation to the skin. Swan Personal Massage System – a true all body massager. 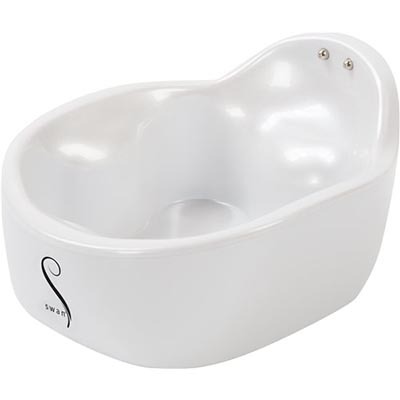 Designed with practical use in mind, the Swan Personal Massage System in shaped to fit conveniently into the hand. This allows for a strong grip to hold the massager while it does its magic. The buttons controlling all functions are located on the side of the handle for simple mode/speed changes. The top section where the hand will hold the devise is made from quality body safe ABS material while the base and pads feature high quality soft touch silicone. The German designed Swan Personal Massage System comes with 6 different settings recognising that different parts of the body may require a different approach. It is designed as an all body muscle relaxer to help ease sore and tired muscles. The varying functions will allow you to make the variations needed as the Swan Personal Massger is moved from one part of the body to another. To ensure you get the most value this piece is fully rechargable. When required place the massager back into the supplied cradle recharging unit and connect using the USB charger supplied. Once charged the devise will sit in the cradle waiting for your next use. 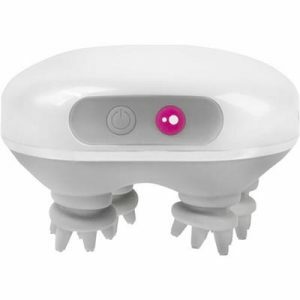 After each use it is recommended to clean the massager with a damp cloth and mild soap. Or use a recognised toy cleaner. A good cleaning process helps get the longest life from your Swan Personal Massage System. As the devise is water resistant do not soap or run under water when cleaning.